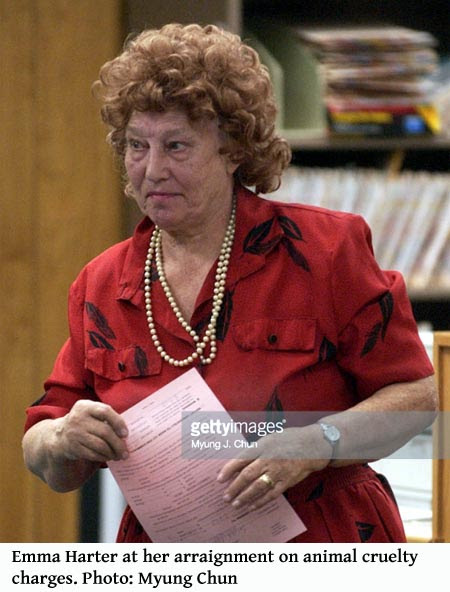 CALIFORNIA -- A 74-year-old retired school cafeteria manager convicted of animal cruelty for keeping more than 200 Chihuahuas at her home must return to court once more. An appeals court has ruled that the judge should have imposed a sentence for four misdemeanor counts on which Emma Harter was convicted. 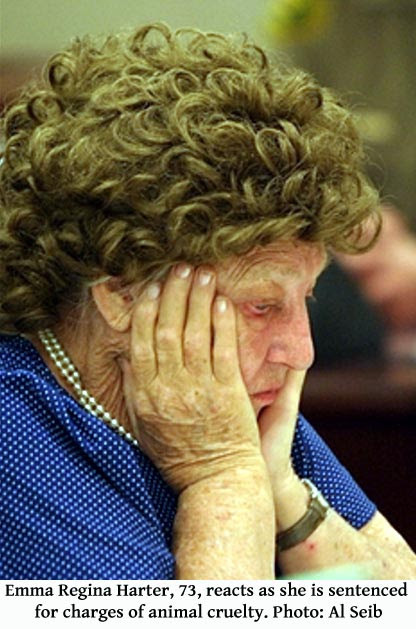 "She was convicted on one felony. That stands. She got probation on that," Deputy Attorney General Sharlene Honnaka said. "On the misdemeanor counts, the judge did not give her a sentence. A judge is required to say some kind of sentence - she can say probation or whatever. She is required to give some kind of sentence on it." Harter was convicted in March 2004 of one count of felony animal cruelty and four misdemeanor counts: battery on an animal-control officer, animal endangering, unsanitary conditions and failure to isolate sick animals. Harter was placed on probation for five years for the felony count and barred from owning or possessing animals during that period. She also was ordered to pay $371,090 in restitution to Los Angeles County. The order from the 2nd District Court of Appeal to send the case back for sentencing stemmed from Harter's appeal of her conviction, which focused on the legality of a search of her home that resulted in the seizure of the animals and cited inadequacy of counsel for not renewing at trial a motion to suppress evidence based on what she claimed was an illegal search. 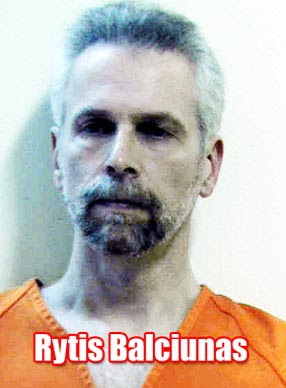 The three-judge appellate panel declined to rule on the merits of Harter's arguments, saying those issues would be better addressed through a petition for a writ of habeas corpus, which would allow Harter's attorney to explain why the motion was not renewed, rather than through a direct appeal. The ruling also concluded that the case must be sent back to the trial court for imposition of sentence on the misdemeanor counts. At the time of sentencing, according to the appeals court's ruling, Antelope Valley Superior Court Judge Lisa Chung told Harter, "I do not see any point in having you on misdemeanor probation, since you are already on felony probation. ... However, the court is not going to impose any other conditions or fines, and I am going to indicate no probation, so you have one probation to worry about on Count 1, and that's felony probation." "Upon conviction, it is the duty of the court to pass sentence on the defendant and impose the punishment prescribed. Pursuant to this duty, the court must either sentence the defendant or grant probation in a lawful manner; it has no other discretion," the appeals court ruling said. "We express no opinion on how the trial court should exercise its sentencing discretion," the ruling added. 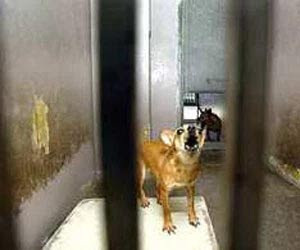 Harter said she began breeding Chihuahuas in 1982 when she was living in Granada Hills, where she got into similar troubles with Los Angeles city animal control officials. She then moved to Acton in 1992 and obtained a kennel license. 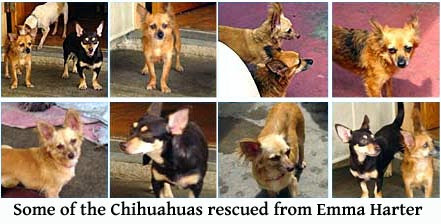 She eventually was caught with about 40 Chihuahuas living inside the home in squalor. 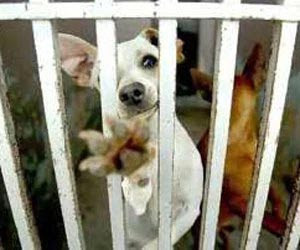 California: Judge's Ruling Saves 170 Dogs - The Chihuahuas, taken from an Acton breeder last year, are to be released to a rescue group based in Burbank early next week. 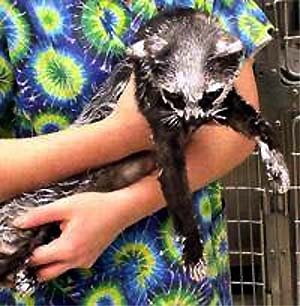 PENNSYLVANIA -- Who would apply white paint to the black fur of a cat? If you know the answer, you could be in line to get a $500 reward. The cat also appears to be solid black, though that's hard to determine because so much of her body, including her face, is coated with white paint. "We're not sure whether this was an accident or done intentionally," said Mark Berton, communications director at the league. "We think it was intentional because of the extent of the coverage." Shelter workers bathed the cat with dish detergent, but the bath didn't make a dent in the paint. "We're letting her relax and settle down" before trying another kind of bath, Mr. Berton said. "We'll probably try a nontoxic paint remover, which we'd test first on a small portion of fur." 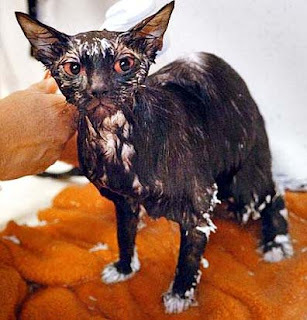 If the paint cannot be removed, the cat will have to be shaved. The cat is friendly and affectionate with the shelter staff, but is clearly uncomfortable because the paint-drenched fur pulls and pinches when she moves, Mr. Berton said. Fortunately, the paint is latex. The veterinary staff thinks the cat would probably be dead had an oil-based paint been applied. A staff veterinarian also said the cat is lactating, meaning she recently had a litter of kittens. About two years ago, the shelter took in a cat that had been sprayed with blue paint. That cat did not have as much paint on its fur and the staff was able to simply cut off outer layers of fur to remove the paint. That cat was later adopted. out to a home. KANSAS, OKLAHOMA -- A 2-year-old Delaware County girl who wandered into a neighbor's yard and was viciously attacked by a pit bull is out of the hospital. The News on 6 first told you about the attack last week, now the family shares some good news with News on 6 reporter Heather Lewin in the town of Kansas, Oklahoma. Cianna Crittenden still bears scars from the attack, but watching her laugh and play, she seems like a happy, healthy 2-year old. After pulling her, bloody, from the jaws of a pit bull, this is something her parents thought they might never see again. Stephanie Crittenden: "She's still the same, normal, energetic; she's back to her energetic self." After plastic surgery and physical therapy Cianna is left with some weakness on her right side because the dog's teeth went so deep into her neck. But doctors expect her to recover and her mom knows it could've been much worse. "The loss of her right arm, and her face that it would just droop, but I try not to think if that as much, I'm just thankful she's able to run and play." A fire just days before the attack left the Crittenden family homeless. The day Cianna left the hospital, remarkably recovered; they got even more good news. "Oh yes! We have a home; it's a three bedroom trailer." Relatives helped get them a new place and donations from the public are piling up. After all that's happened, the Crittenden's are grateful for what they still have. Stephanie says she draws strength from her daughter. "She always makes me feel like everything's gonna be okay, and I trust her. She had a hand watching over her. I try not to think of bad things, I'm just thankful she's here." The dog was chained to a tree, but Cianna simply came too close. The owner is having the animal destroyed. 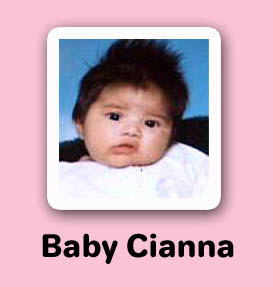 Cianna's family wants pit bulls banned in the city limits.